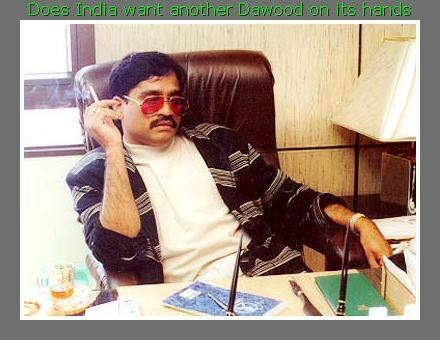 Is India intent on giving birth to a new mafia don like Dawood. Dawood who was born in 1955 will be around 58 years old now which is pretty much the retirement age for a normal Indian citizen, so do the Indians need another don now? India never seems to have learned from the past and once again to control the rising Rupee and gold imports it has imposed severe draconian restrictions. If you research a little bit into the past, you will find that all the bootlegging and smuggling often takes place when the authorities try to impose such kind of restrictions and curbs on free flow of the goods. I have no problem with the restrictions if they are being used as a weapon against inflation but as per my research, it points to only one thing, the authorities are in a damage control mode and pushing in any stop gap mechanism possible without thinking about the absolute returns this ill advised curbs and duties will bring. I want to list a few instances which have went on to create some of the biggest Mafiosi in the world. The oldest instance I can remember is when US authorities imposed a prohibition or a complete national ban on the sale, production, and transportation of alcohol from 1919 to 1933. The imposition was done with a political agenda to appease the Protestestant population of US who made a sizeable anti-liquor lobby in US. The Protestant in turn wanted the prohibition as a cure for the moral ills and cardinal sins people committed. But history proved both the authorities and the religionists wrong. 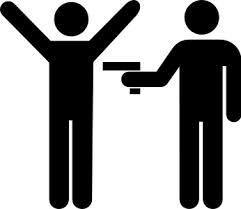 The prohibition had only one effect it gave birth to ORGANISED Crime. Prohibition fathered the Mafia (mostly from Italy and Ireland) and increased the crimes. In a study conducted in over 30 major U.S cities during the prohibition years of 1920 and 1921, the number of crimes increased by 24%. Additionally, theft and burglaries increased by 9%, homicide by 12.7%, assaults and battery rose by 13%, drug addiction by 44.6% and police department costs rose by 11.4% It gave birth to several dreaded gangsters like Al Capone et al. But what everybody missed during all the studies and research was that it also gave birth to Organised corruption. Before the prohibition the corruption was mainly a minor issue with a few who had lost their way, took bribes to fulfil their extra wants. 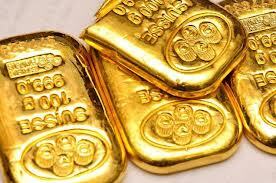 Closer home India imposed severe curbs on Gold imports, electronics and other foreign items after its Independence. These did not at all deter the Indians from buying the gold or the Rados and Seikos but it gave rise to the Organised crime in India. Haji Mastan, Karim Lala, Varadrajan Mudliar, Dawood and Chhota Rajan are some of the key figures that the curbs birthed. Out of them, Dawood went on to wreak havoc on the very social fabric of India through the serial blasts of 1993. He used his ill gotten wealth to finance the blasts which shook not only Mumbai but entire India. In 1991, India unveiled a new liberalised policy for imports, remittances, gold etc. This had a cascading effect. Not only did the smuggling come down, it also increased the national exchequers wealth as people always prefer to buy from a authorised shop. I can cite a example of late 1990s when Nokia had just entered the Indian markets. The Nokia phones were available for Rs.25000.00 odd, a princely sum, due to various customs and duties. The same smuggled phone was available for a paltry Rs.12000.00 in Musafirkhana. Now who would waste Rs.13000.00 bucks just for a guaranteed product. The smugglers thrived on this cost differential and soon you had mobiles replacing gold as a item of smugglers choice. But pretty soon the authorities realised their mistake and reduced the duties to almost 6% (as on date). Now the ordinary people like you and me prefer to buy it from a shop rather then from the grey market. All these and more instances of the restrictions actually increasing the crime rate and availability of money for terrorist activities exist but do the authorities care. They are worried about the rising Rupee and Gold imports. Traditionally Indians are mad about gold and no matter how many restrictions/duties/taxes are imposed, Indians will buy gold. If they can't get it cheaply from the legal channels they will obviously opt for the smuggled gold which is quite cheap. Rupee has been classified as a 'high beta' commodity in world markets. A high beta currency is a commodity which is highly volatile during the trade. A volatile currency is a boon to the speculators and hedge funds. I will give you an example. A US % normally trades with a variation of 0.001 - 0.002 up or down whereas the INR trades at a huge variation of 0.50 to 1.00. Now to earn money out of speculation, the speculators obviously prefer the INR. Would you buy a share which increased daily by a paltry 0.50 daily or would you buy one with increases by Rs.10.00 to 20.00 a day. You did go for the more volatile one and that is what is fuelling the current Rupee frenzy. But a similar thing happened with the Japanese Yen in the 1980s and 1990. The BoJ (Bank of Japan) instead of tightening the Yen further loosened it and that broke the speculators back. The Yen came back to its normal trading range. But do the authorities about the ilk of speculators like George Soros? No Siree, they don't and we Indians are as usual passive about the whole issue and ready for another fuel price hike in coming weeks. Its very sad, isn't it. But in the process the authorities are also mid-wifing the next DON who will take due advantage of the restrictions and curbs and bring us cheap gold and dollars which we will have no qualms in buying. The money he makes will be used to blast another city maybe....But then do the Indians really care about India?? ?